Mahindra Duro is a brand new scooter from the Indian automaker Mahindra & Mahindra (M&M). Explore the review and learn about the specifications and price of Mahindra Duro, in India. After entering into the scooter segment of the Indian automotive industry, by launching Flyte, leading Indian automaker giant Mahindra & Mahindra (M&M) revealed its stylish scooter 'Duro', in November 2009. M&M collaborated with the Engines Engineering facility in Italy and Taiwan-based Sanyang Industry, to give the technical inputs and design for the chick Duro. The vehicle is an amalgamation of stylish looks and superior performance, proving a stiff competition for other two-wheelers in its class. 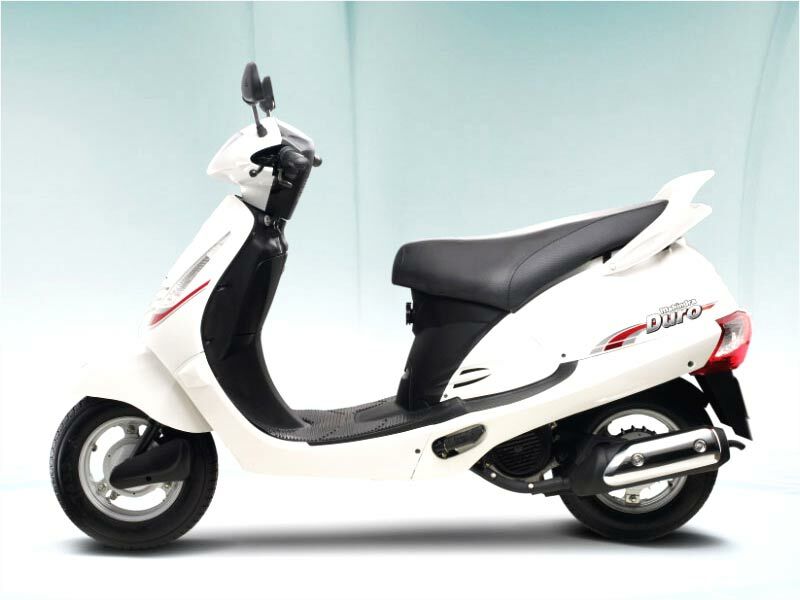 The 125cc scooter easily glides through the Indian roads and is a perfect fit for taking a joy ride along the smooth highways. The automobile would surely be the perfect vehicle for daily use. The petrol-driven Mahindra Duro is powered by a robust 125cc 4-stroke engine, which produces maximum power of 8 bhp at 7500 rpm, with maximum torque of 9 Nm at 5500 rpm. 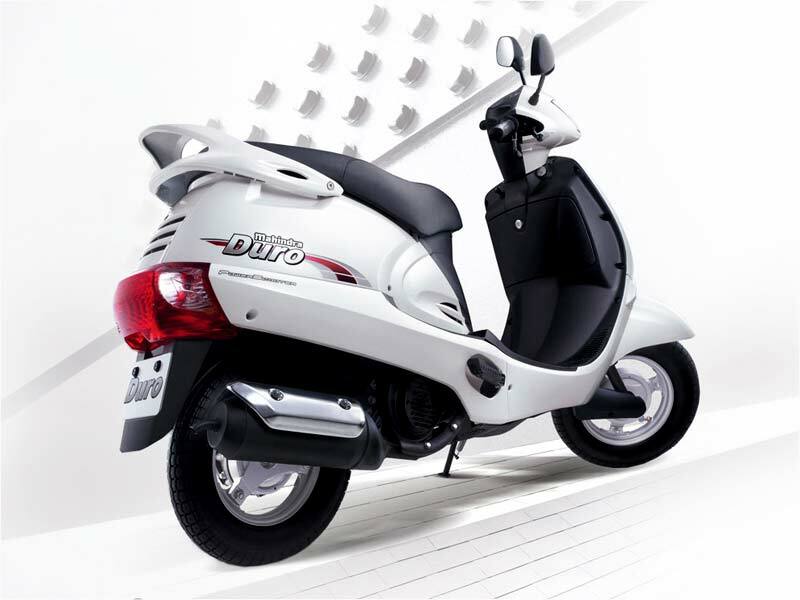 The scooter can glide through the toughest terrains and shoot up to a maximum speed of 80 km/h. The powerful battery of the car ensures prolonged working of the automobile. The scooter boasts of having the largest fuel tank in its segment, which makes it all the more reliable for long rides. Mahindra scooters are gaining popularity due to their stylish looks and Duro exemplifies this. The finishing of its exteriors adds to the appeal of the automobile. 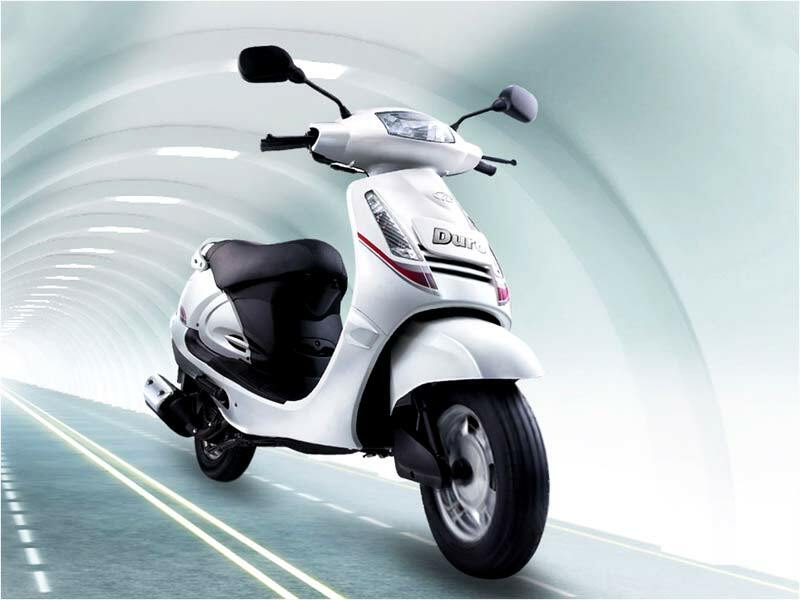 With spacious and wide seats, the scooter never looks cramped even with a hefty pillion rider! Adding to the comfort is the roomy under seat space that allows you to store ample things. The wide wheelbase of Mahindra Duro - the widest in its segment - ensures good grip on road, making it 'sail' through the uneven Indian roads. The scooter gives the options of self and kick-start to choose from. Even amateurs won't find the scooter a tough vehicle to ride, because its transmission is automatic (gearless). Blessed with the largest fuel tank, Mahindra Duro exhibits an average mileage of 44-47 kmpl. Mahindra Duro is available in sparkling colors, including Golden Beige, Pearl White, Cappuccino Brown, Majestic Maroon, Fiery Black and Mystic Grey. Mahindra Duro comes with a price tag of Rs 39599 (Ex-Showroom, New Delhi).